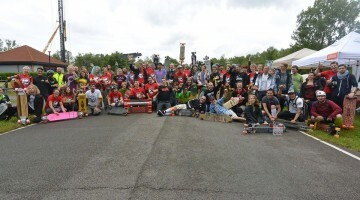 This summer there was another event at the snakerun in Oldenzaal. Just like last year it coincided with Twente Balooning event. 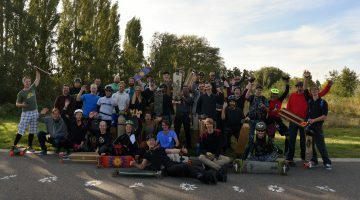 Same as last year I wanted to skate from my hometown to this event. This year I decided to take an alternative route for a change of scenery. I asked Lennart if he wanted to join and he did. The trip via Wageningen (Lennart's hometown) would be 15km longer than last year. 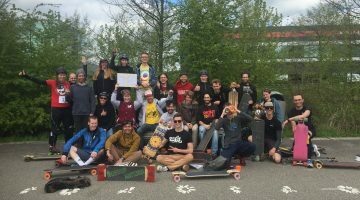 Last year I skated via Amersfoort where I picked up Stan. 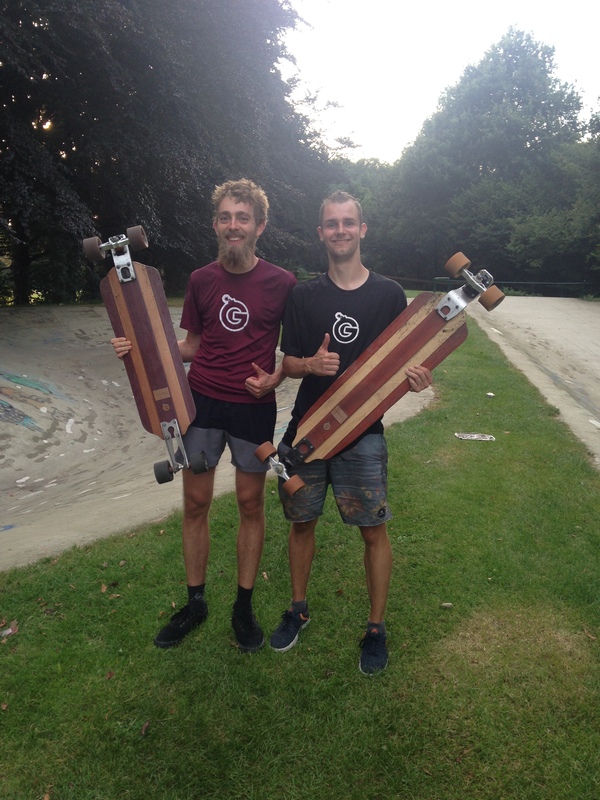 Because of the long day ahead I got up early and started skating at 5:00am in the morning from my hometown Nieuwerkerk aan den IJssel (close to Rotterdam). When I left it was still dark and it would take 1.5 hours before the first daylight. The first part up until Utrecht went fast because I knew the way. After that it was getting light and I could find my way by following the signs. 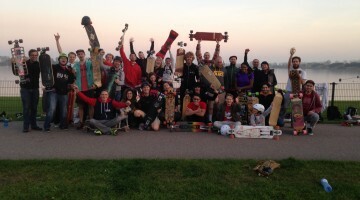 I skated next to the river Rhine for quite a while. I was more than one hour earlier at Lennart's place than expected which surprised him a little bit. Me being there early gave us the advantage of having more time for the trip. 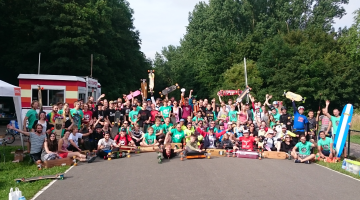 After a nice banana pancake we left and via Arnhem we skated to Oldenzaal. 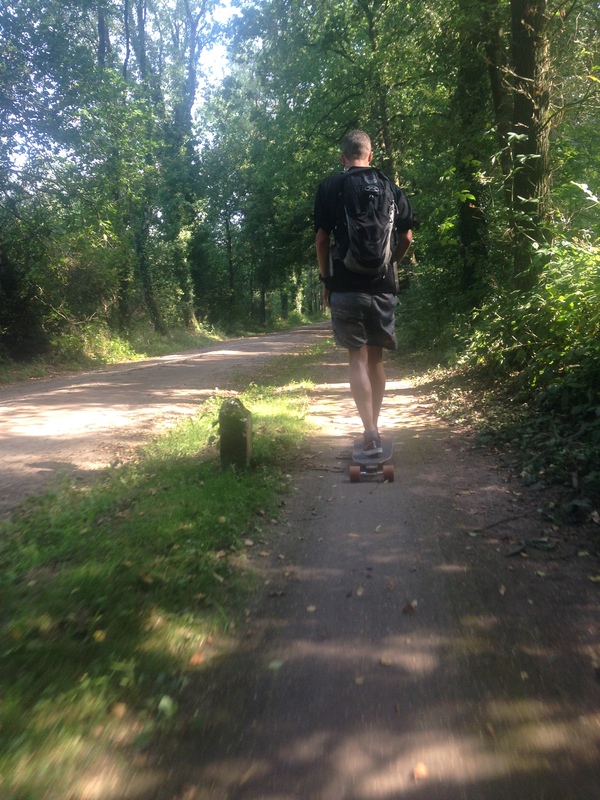 In the east of the Netherlands there were less bicycle paths so we skated our fair share of unpaved roads. We took a break in the small village Lochem where we encountered some village fair. It was nice to have small break here because we both ran out of water and were very hungry as well. The last part was pretty tough because the headwind which was present during the entire trip took its toll and the heat was also killing. The roads on the last part were pretty ok! When we arrived at the snakerun my kilometre count was at 202km and 111km for Lennart. We celebrated our achievement by taking a dive in the lake next to snakerun and having a nice hamburger afterwards!